In your life, who do you ask for advice? On relationships? Your finances? If you’re unable or wouldn’t want to make these decisions independently, does that mean you can’t make choices about work, travel or other areas of your life? 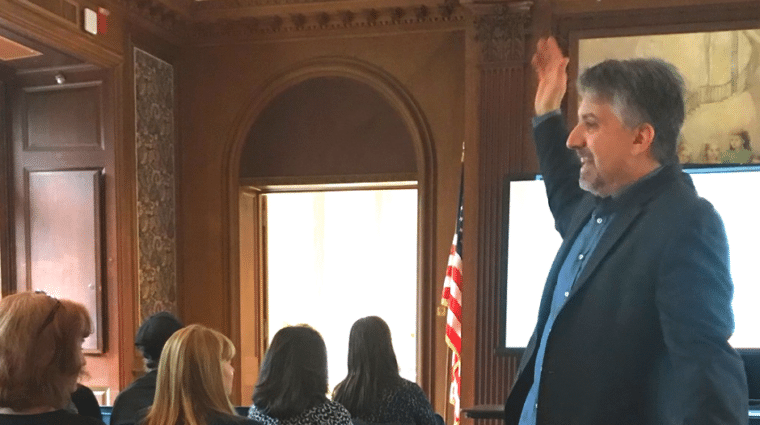 Jonathan Martinis, Esq., senior director for law and policy, at Burton Blatt Institute at Syracuse University, raised these questions to attendees of AHRC Nassau’s supported decision making workshops on April 9. We Rallied. We Connected. We Shared #bFair2DirectCare.